I love to use this space on my blog to showcase the products, services and companies that I love! 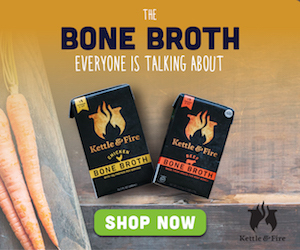 Kettle & Fire is my go-to for bone broth. Click this pic for a link to their website to order! I’m open to discuss sponsored posts, giveaway options, and sidebar ads. Please send me an email to betsyjmoore@gmail.com and we can chat! Here is a selection of brands I have worked with. Sponsored posts are shared with all thoughts my own! I’ve also worked with the brands - All Heart Photo and Video, Milkweed & Mango, Giant Eagle, Dasani Water and many more!